I wrote a post earlier today about a pack of Georgia legislators who are getting antsy about Georgia Power’s Plant Vogtle and they want cost caps, so they wrote a letter. You know who didn’t sign the letter? My state senator, but then again, I’ve never thought of him as pro-consumer. In 2009, then-State Rep. Fran Millar voted in favor of SB31, Georgia Power’s infamous enabling legislation that overrode the Public Service Commission in order to make ratepayers pay Plant Vogtle costs in advance of completion. The utility captured the regulatory process. Taking the risk off Georgia Power was a big mistake. It affected their decision-making process, since the company is always looking around for other people’s money to play with. As a result it’s costing us billions, whether or not we ever get any benefit from the plant, and with each new cost overrun, the company digs all into a bigger hole, because Gov. Nathan Deal and the all GOP-PSC have decided that Plant Vogtle is too big to fail. What’s it at now? $30 billion? Prediction: more cost increases before it’s done, threatening the company’s health and Georgia’s economy. Double-digit rate increases … whenever, if ever, Vogtle goes on line, and even if it doesn’t. Now people are getting scared. Really scared. Did you know that 90 percent of his reported donations in the current election cycle come from special interests, including GOP sources? He is a corporate creature, not a people person like his Democratic opponent, Sally Harrell. Since 2006, Millar has pulled in $6,600 in contributions just from the Troutman, Sanders law firm, which represents Georgia Power before the Public Service Commission. A vote for Fran Millar is a vote for corporate welfare and crony capitalism. 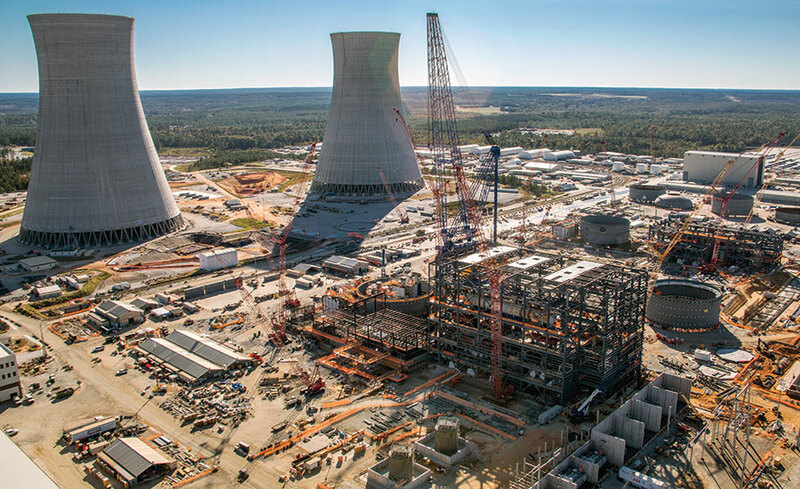 Disclosure: I was the Georgia Public Service Commission spokesman when Plant Vogtle Units 1 & 2 were being constructed, and I have a special place in my heart for legislators who voted for SB31.